Home > Thailand > Elephants - northern Thailand. 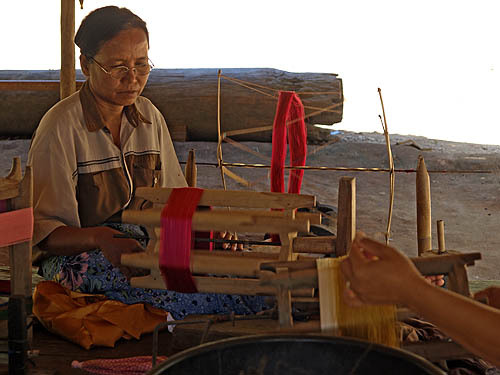 Woman weaving at the elephant camp at the Anantara Golden Triangle Resort, northern Thailand. Album name: admin / Elephants - northern Thailand. Keywords: Thailand northern Thailand Chiang Rai Anantara resort elephants Asian elephant save the elephants Anantara Golden Triangle Resort The Golden Triangle Asian Elephant Foundation. IPTC Keywords: Thailand northern Thailand Chiang Rai Anantara resort elephants Asian elephant save the elephants Anantara Golden Triangle Resort The Golden Triangle Asian Elephant Foundation.